Marc is an internationally renowned landscape photographer with eleven book titles to his name, ESPN outdoor shows and numerous magazine, calendar and poster titles to his credit. Marc is a third generation landscape photographer following in the family tradition started by his grandfather Josef Muench and then his father David Muench. Marc currently runs photography classes and workshops around the world with his company Muench Workshops. Hey Marc! It’s such a pleasure to speak with you. These Really Right Stuff sponsored interviews are called Raw & Unedited, so anything goes. You come from an incredible heritage and have arguably one of the most notorious names in the landscape photography industry – your father, David, being a very successful photographer. 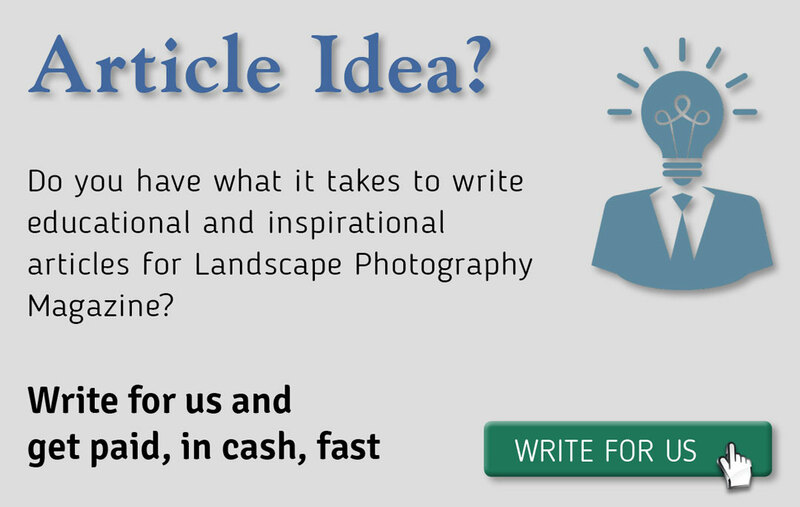 Did you always know that you wanted to be a photographer? Thank you for having me on. No, at first I was intrigued with medicine and considered becoming a physician, but once I realised that it involved too many hours indoors, I quickly changed my mind. During high school I learned to ski with some friends and never looked back – my love for the outdoors had really begun. Once I could ski, I began carrying a camera everywhere I went. In spite of all the great places my family took me, it was really snow skiing that persuaded me to make photography a career. What was it like growing up with your father, and how has that shaped who you are photographically? I have great memories of many of the popular photography locations, when there was nobody around. The problem is that I was not photographing at the age of ten, so I could not appreciate those locations in the same way most do today with a camera. But having experienced so many locations with no one around is quite special. My father never forced photography on me, but rather included me on his work trips. My mother and father would take my sister, Zandria Muench Beraldo, with them for two months just about every summer, travelling through the west. We would visit all types of locations, from National Parks to wild and scenic river ways. The work my father was creating went into his books and was later made available for stock image licensing. I was able to see the entire workflow of a successful landscape photographer from beginning to end by the time I was in high school. Was there a point where you feel you broke away and made photography all your own, or has it always been a legacy carried on? I believe that’s what I was doing when I began to photograph skiing and some mountaineering. This was my own style and at the time, the look of small people in the dramatic landscape did very well commercially. This gave me the opportunity to work with many great ad agencies and publishers, which helped me create a different look. The funny thing is that now I’m doing more landscape work and loving it! What is the most enjoyable part of landscape photography for you? Exploring new regions has always been one of the most exciting parts. The most rewarding is creating something extraordinary in one of those new regions. What is it that keeps you inspired and motivated? What has surprised me is how much I have learned and been inspired by teaching photography. Workshop participants are incredible people with a diverse set of skills that I am exposed to. There are times I really want to sleep in or simply not partake in a shoot when the light is not at its best. Then, I end up being surprised by the reality that it’s always better to try in photography and I realise that I’m practising what I’m preaching. We really want to extend our deepest thanks to RRS for sponsoring this interview. How long have you been using RRS and what made you choose this brand? I remember years ago while teaching at the former Lepp Institute, George Lepp made me walk over with him to a little house in Los Osos where I was exposed to the world’s best ball head. It was Joe Johnson who handed a BH55 to me, let me play for a few minutes before asking for it back to ship off to an expectant customer. Of course, I ordered one, and have been using and recommending just about everything they have made since, including the tripods. If you could change one thing in today’s photographic industry what would you change and how would you change it? Interesting question, and it may cause me to become long winded! Coming from the licensing and publishing days, I have a firm belief that photography is worth much more than most people think. Of course, I’m referring to well produced quality work. I’m thrilled to see that photography is being seen and accepted as an ‘art’ now more than it had been in the past. Furthermore, the value of photographic prints has risen as well, which is great evidence in favour of the ‘print’ being the highest level of quality a still image can become. What I am appalled by is the lack of respect many photographers have for each other’s work. As a community, landscape photography has not created a great image for itself. If there is no other direction, then to get the best, most amazing image possible for oneself, in the name of preserving lands, then we are not saying much. Photography in general and especially landscape photography can become so much more than self-gratifying. I believe that open spaces with no social networks are necessary, and to actually experience the true wilds with uninterrupted space is priceless. It is this experience that needs to be preserved at all cost, and I believe that the pursuit of landscape photography is the catalyst for inspiring those who have never been, to visit such a wild location. To preserve the experience of landscape photography is now vital, as it gives a person a greater connection to the land, something that has been lost since the days of hunting and farming. I also believe that we need to keep intellectual property rights and never allow public domain to expect photography, great photography, for free. Have you moved into the mirrorless world? Yes, I have used Panasonic, Olympus and Sony mirrorless cameras. I began with the Panasonic GH2, as it was the best solution for creating time-lapses with no flicker. It was also a light system that provided convenient size for the quality. I now enjoy a Sony a6300 body and a few lenses for a lightweight high quality system for backpacking trips or day trips with a single satchel over my shoulder. 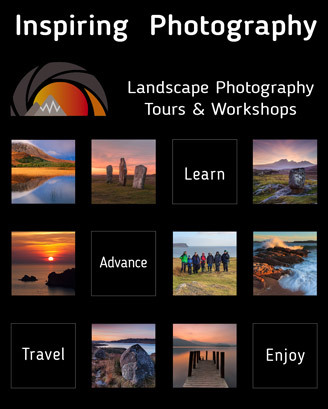 What do you enjoy most about leading photographic workshops? I have learned more about photography by teaching it than I ever did being a student. Not only do I learn by teaching, but I’m inspired by many students who see things in many more creative and vibrant ways than I could never imagine. This has fuelled my creative juices many times. I also get to keep up with all the latest technology that shows up with many students. Many don’t know how to use it so I’m constantly learning and teaching new menu systems. Thankfully, the fact that light must enter a lens and be recorded on something sensitive to it has not changed, and I’m able to keep up. What is one vital element to your scouting trips that you can’t live without? Being alone in great places. Composition can be a tricky subject for many folks and you are a master. Can you share some advice on finding unique compositions? Composition has been around since we became smart enough to cook our food. It’s an aesthetic we are born with or if interested, spend more time learning. I have spent my entire life concerned with composition, with the influence of my parents. My mother, Bonnie, was creating layouts for my father’s images in our home and I would hang out over my father’s shoulders when he would review transparencies on light tables from a recent trip. I believe that when you spend time looking through images, you begin to create a mental profile of what works and what does not. It is this profile that you take with you in the field. If what you are looking at has great light, but does not fit your profile, you simply need to move on. Do this until you are comfortable with what you are looking at – then take out the camera. Of course, first you need to research a location that is new and offers good potential. What is one pitfall you see photographers make that you’d steer them away from if you could? Worrying too much about the quality of equipment. Yes, I use a Hasselblad now, but that’s only because I’ve been doing this forever and I understand that the extra weight and limited zoom lenses won’t inhibit my seeing. If you are still struggling with finding images and your style, don’t worry about the equipment – use something that is light and efficient and offers good enough quality that does not break the bank. Do you have a favourite place you enjoy photographing? No. I have favourite experiences in many different locations. I have learned that the world is very similar on all sides and that each side has a unique look that can be just as fulfilling as the other. Where is one place you would love to photograph but you haven’t had the opportunity to visit yet? What is one piece of advice you would like to leave with our readers? Devour as much photography as you can stand. Read about it, view it online, in magazines, museums and galleries. Then believe in the fact that you are unique and will create unique work. It’s too easy to be discouraged by all the incredible work being done and lose sight of your own vision. If you are willing to put time and energy in it, your work will show it.